2013 has gotten off to a great start in general, but particularly so for two free apps. After we published an article about using apps for green solvent selection in the American Chemical Society’s new green-themed journal, the ACS picked up the news and released it as an entry for their weekly PressPac. We’re very optimistic that this will help get the word out, and if anyone wants more information for a followup article, we’re all over that. 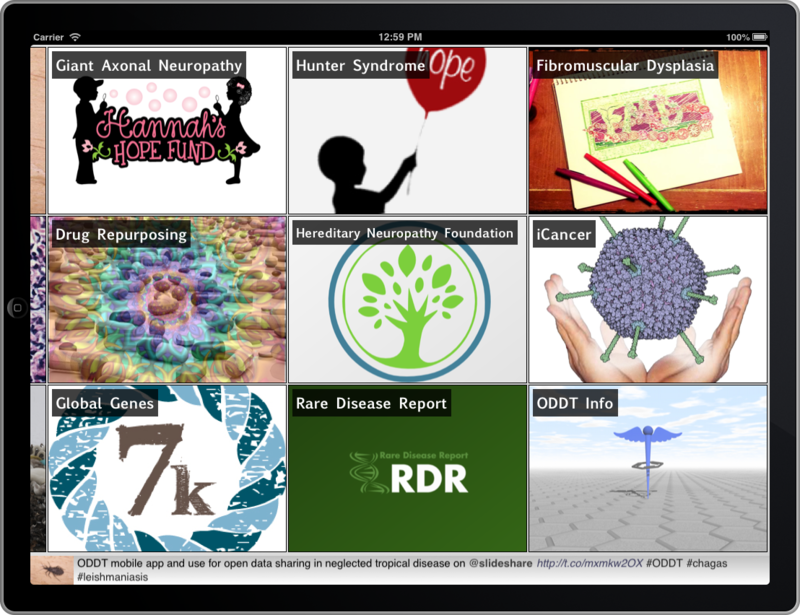 There has also been an increasing amount of interest in the Open Drug Discovery Teams (ODDT) project, and we’ve just added 3 more topics in the last few days, Rare Disease Report, Fibromuscular Dysplasia and iCancer. The Rare Disease Report recently interviewed us about the ODDT project. No need to go into detail in this blog, you can read it here! Needless to say we’re excited to work with them, and do what we can to get some momentum going in the subject space of finding better ways to use limited resources to find cures for diseases that will never have a “blockbuster” drug. Fibromuscular dysplasia and iCancer are both specific diseases. You may have heard of the latter, and wonder about the name: it’s the cancer type that afflicted Steve Jobs, and there’s a promising cure for it sitting around in a fridge, waiting for a crowdfunding campaign to tally up enough money to get it into trial.